I came across this statement the other day emblazoned on a retail store’s front window in red puffy type and asked myself “Is this something they’re proud of or is it a cry for help?”. 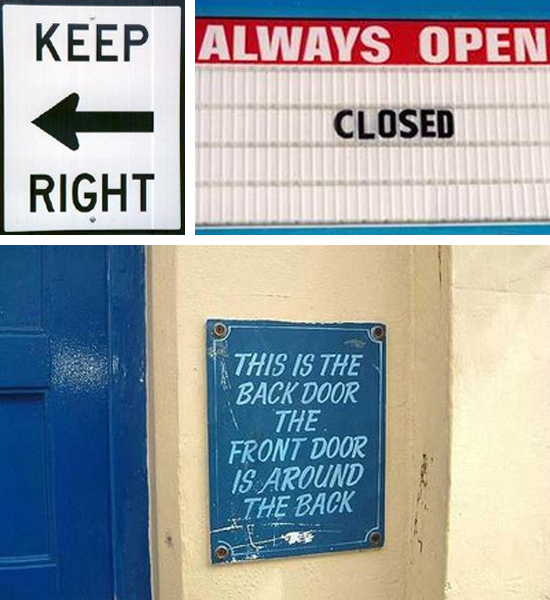 I think I know what they were trying to say. 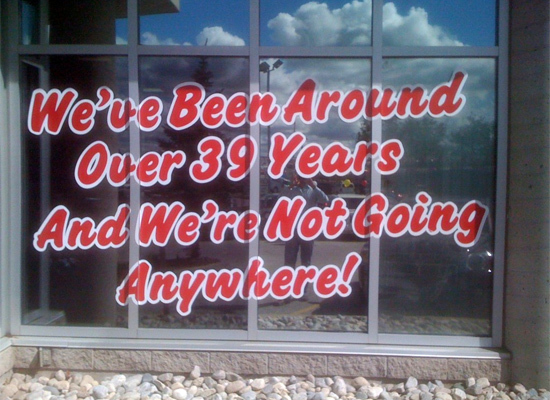 something like “We’ve been around for 39 years and you can be confident buying from us because we’ll still be here next year to service you. But the way I read it that morning led me to conclude that this company has been around for ever and has flatlined. They’re dead. No innovation. No interesting new products. No new staff. No new ideas. Just a tired, bloated, boring company stuck in a rut and “not going anywhere” (which I thought was an ironic piece of copywriting considering that it was a car dealership).